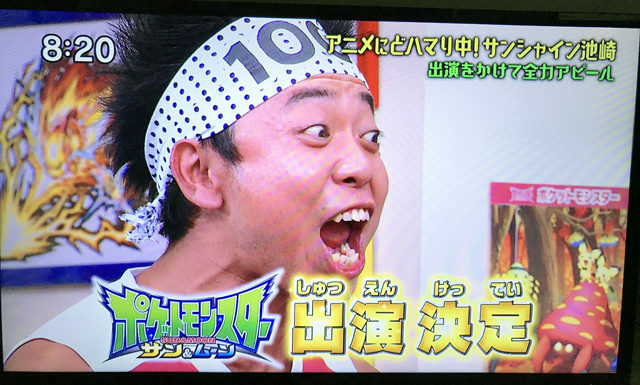 Professional comedian Sunshine Ikezaki is bringing joy to the lives of Japanese TV audiences throughout the nation by yelling at the top of his voice. “Sunshine just brightens up my day when he unleashes that blood-curdling scream,” says 42-year-old housewife Hiroko Shimabukuro. Ikezaki occasionally supplements his yelling comedy act with funny faces and bizarre noises that you may expect to hear from a 6-year-old child. “The fact he’s a bit weird looking also adds to the comedy – it’s just a shame he’s not fat,” says Shimabukuro. “The overwhelming majority of Japan Association of Translators (JAT) members agree that ‘Yaaaaay!!!!!!!!!!!!!!!! !’ should contain five ‘a’s and seventeen exclamation marks,” says JAT representative Mitsunari Yoritomo. Put him in a big nappy, draw some massive eyebrows on him, slap him about the head when he says something stupid and there you have it. Comedy gold.